MOTORISTS are being warned once again to be careful this morning. Donegaldaily has been notified by a number of drivers of treacherous conditions on the roads in the following areas: Letterkenny, Raphoe, Newtown, Ballybofey, Kilmacrenan, Milford, Moville, Carndonagh, Ballybofey, St Johnston, Burt, Glen, Kilcar, Ballyshannon, Churchill, Pettigo, Ardara and Glenties. You can send your updates to info@donegaldaily.com. 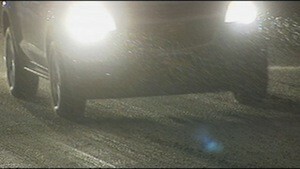 Temperatures dropped below zero overnight, according to the National Roads Authority. Rain and sleet showers have also washed away grit put down on the roads by the county council. We’ve been told of a number of minor accidents and we will keep you updated. Thanks to all our readers who have sent emails this morning. Please drive carefully.